Within the context of Globalization, the Arab world is currently experiencing a verve that is significantly affecting all sectors, whether financial, industrial or economic. This verve is accompanied by an increase in the consumption of natural resources, especially non-renewable ones. It also coincides with the rise of general awareness within consumers that is reflected in their desire to organize the relationship between renewable desires and the resources available in such a way that preserves the right of future generations to enjoy a level of luxury that is similar to what is available today in some communities. Moreover, this awareness phenomenon may be due to media exposure, to tough competition between organizations or even to some marketing plans. 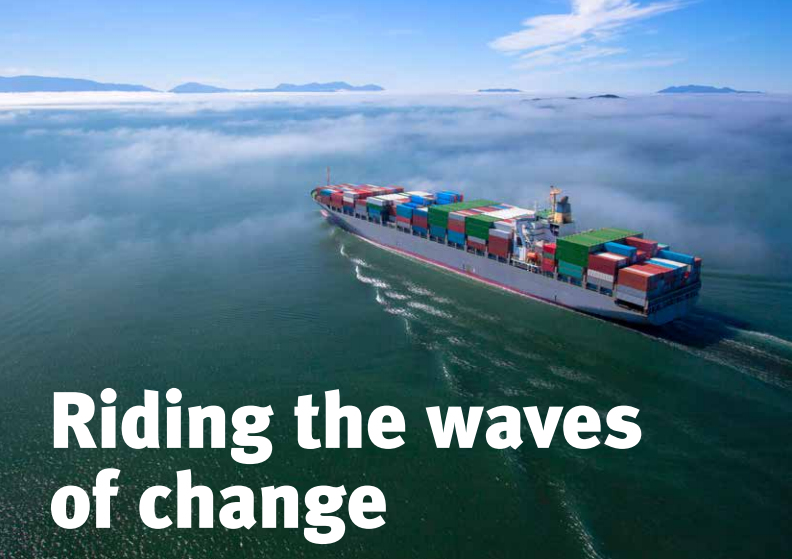 As a result, economic organizations, especially the larger ones that apply planning and development systems, found themselves facing a new reality that is reflected by a pressure to create their unique value. How we go about managing our business? An approval letter will be sent to you. 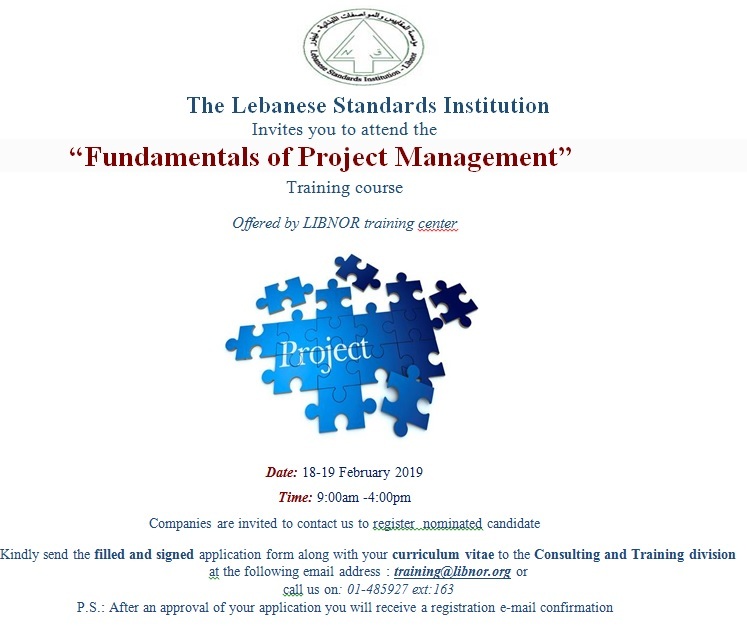 - Fundamentals of Project Management training course (February 118-19 , 2019 from 9:00 AM till 16:00 PM)- for more information on this training or to join this training, please click here. - Fundamentals of Project Management training course (July 23-24 , 2018 from 9:00 AM till 16:00 PM) - for more information on this training or to join this training, please click here. - Good Manufacturing Practices training course (June 26-27, 2018 from 9h AM till 3:00 PM)- for more information on this training or to join this training, please click here. 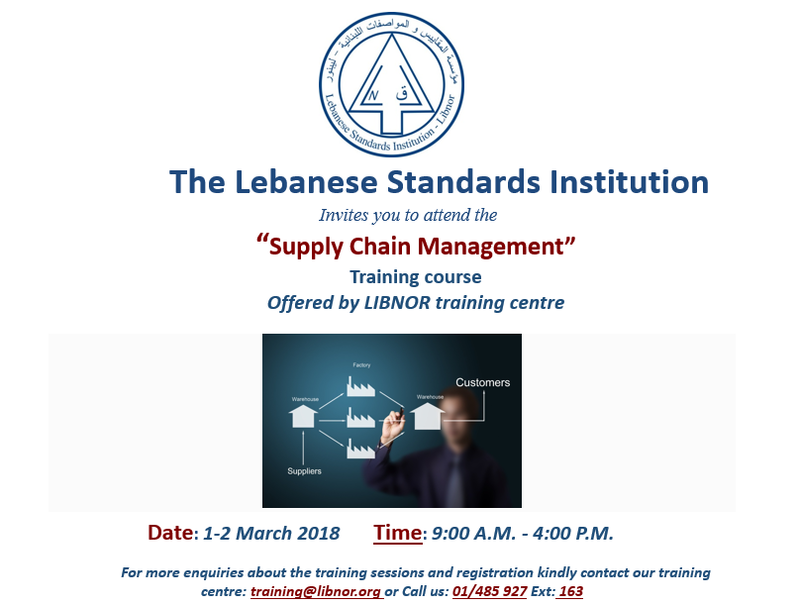 - Supply Chain Management training course (March 22-23, 2018 from 9:00 AM till 16:00 PM)- for more information on this training or to join this training, please click here. - ISO9001 Introductory training course (December 12-13 , 2017 from 9:00 AM till 16:00 PM) - for more information on this training or to join this training, please click here. - Fundamentals of Project Management training course (November 23-24 , 2017 from 9:00 AM till 16:00 PM) - for more information on this training or to join this training, please click here. - Good Manufacturing practices training course (October 10-11, 2017 from 9:00 AM till 15:00 PM) - for more information on this training or to join this training, please click here. - ISO 9001 training course (April 26-27, 2017 from 9:00 AM till 16:00 PM) - for more information on this training or to join this training, please click here. - Competency Based HR management (Sep 14-15 , 2015 from 9:00 AM till 4:00 PM) - for more information on this training or to join this training, please click here. - ISO50001 Energy management system for executives (July 31, 2015 from 9:00 AM till 4:00 PM) - for more information on this training or to join this training, please click here. - Supply Chain Management training course (May 26-27, 2015 from 9:00 AM till 4:00 PM) - for more information on this training or to join this training, please click here. - Good Manufacturing Practices training course (March 26-27, 2015 from 8:30 AM till 2:00 PM) - for more information on this training or to join this training, please click here.